Jason Snell makes his predictions for Apple's Mac lineup in the new year. I’ve banged this drum a couple of times this year, but 2016 seems like the right time for Apple to retire the “big X” and put the Mac back in OS X. 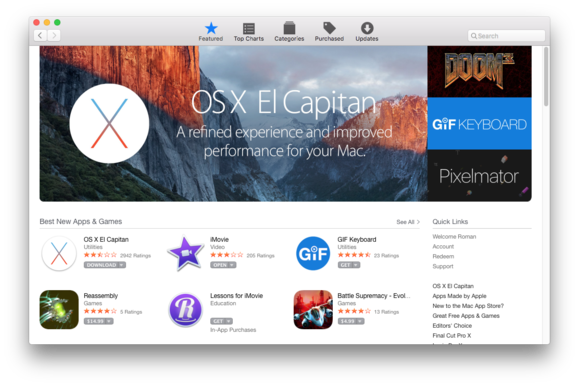 The Mac App Store finally got a renewed focus in 2015–as in, writers and pundits focused on the missteps that led to Mac users being told their apps were damaged and should be thrown in the Trash. When the Mac App Store launched, we were all excited by the possibility that it would do for Mac software sales what the App Store had done for iOS apps. Unfortunately, the developers of more complex apps have been frustrated by Apple’s security demands and the limitations of the Mac App Store itself. Some key Mac apps have never been allowed into the store, and many more–including most recently Sketch–have given up and pulled out. In 2016 I’m hoping Apple refocused on the Mac App Store, and makes it worthy of the Mac platform. The Mac is fundamentally a more complex, rich system than iOS. That’s its advantage, and why it continues to exist. Why apply iOS standards to the needs of Mac users? It was understandable that the Mac App Store would launch as nothing more than a copy of the iOS App Store, but it’s been years now. 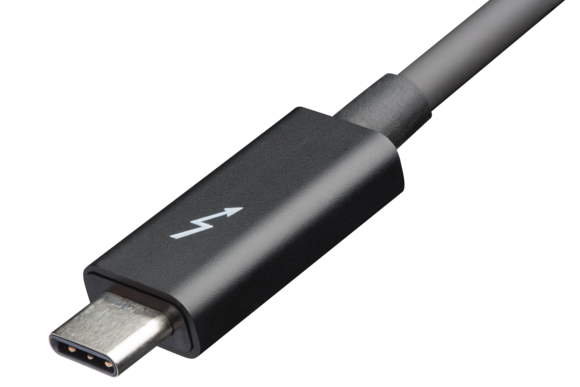 Intel announced this year that Thunderbolt 3, the new generation of the high-speed connection technology, will be plug compatible with USB-C ports. In an ideal world, this would be the port that Apple could standardize on for all of its computers across its entire line, providing USB compatibility along with the speed and flexibility of Thunderbolt. Not every Mac released in 2016 will support Thunderbolt 3, but I’m hopeful that by the second half of the year, it’s standard issue on all of them. Imagine a single, small port that’s capable of attaching just about any peripheral you can think of, including a 4K external display. In 2016 we should see it, and it should allow Apple to finally avoid offering both Thunderbolt and USB ports on almost all of its Macs. Every Mac power user I talk to seems to want a Retina successor to Apple’s Thunderbolt Display. So why hasn’t it happened? It’s probably some combination of connection technologies and available graphics processing power, but in 2016 it should finally be possible. If it uses Thunderbolt 3 and works with a new round of Mac Pros and MacBook Pros, all the better. The new MacBook is a fun, interesting laptop, but this year’s model has the feel of being a bit too far on the cutting edge. Perhaps a new model for 2016 could upgrade its USB-C port to Thunderbolt 3, or at the very least add a second USB-C port? Improving the keyboard wouldn’t be a bad move, either. 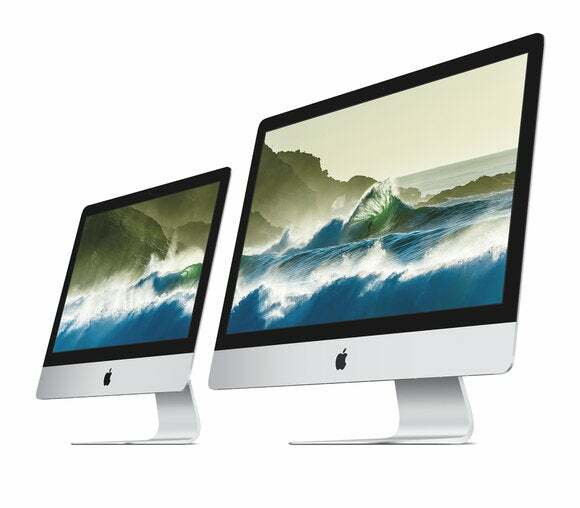 Speaking of the 21.5-inch iMac, even the base configuration of the 4K iMac is equipped with a spinning hard drive. This is old, slow technology that doesn’t have a place on new Macs sold in 2016. So here’s hoping for the abolition of that technology, with only Fusion Drives (a spinning hard drive augmented by a small amount of speedy flash storage) and pure Flash Storage in the mix. People make a big deal about Apple being famous for abolishing outmoded technologies and forging ahead–floppy disks, optical drives, maybe even the 3.5mm headphone jack–but it’s clung to the classic hard drive too long. Time to turn the page and recall it as a dim memory of 2015 past.